In September of 2017, Facebook which is the parent company of WhatsApp announced the WhatsApp Business app. The App was later released in January of 2018 but it was only made available on the Google play store for Android users only without any ETA for iOS users. WhatsApp recently started beta testing the WhatsApp Business app for iOS users and now the stable version has already started rolling out. Even though there haven't been an official statement from WhatsApp yet on its business app for iOS, the app is already available for download in countries like Mexico, Brazil, Argentina, and France. The WhatsApp business is different from the regular WhatsApp messenger App. It's is targeted mainly at businesses rather than individuals. It comes with a couple of cool features that are not available on the standard app like away message, greeting message, and quick replies. It also lets businesses add information like working hours, address, and links to social media account or website to their profile page. 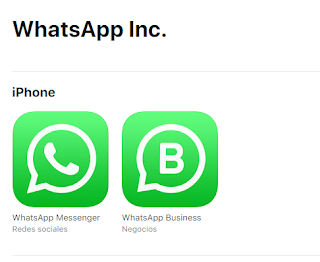 If you happen to be living in one of the countries mentioned above then you can download the WhatsApp business app by heading to the App Store.